Author Bio: Callum Mundine is part of the marketing agency at One Egg. He is an Amazon marketplace & white hat link-building specialist and has launched multiple successful brands on Amazon.com. Callum like his eggs boiled. In brick-and-mortar stores, you rarely find buyers who fill their cart or shopping bag only to be distracted and leave the store without buying anything. Sure, there are times when you happen to see an old friend and have a bit of chitchat that delays your shopping, or you might take that important call from your boss, but ultimately, it’s pretty unlikely that you’ll abandon the stuff you picked out altogether. In the ecommerce arena, however, things are quite different. Online shoppers usually browse through some stuff and then close the tab to watch a trending video, a trailer for a new movie, or check out their social media feed, unlikely to come back and actually buy the products! The relative ease of online shopping also gives way to how easily it can be left behind. In fact, according to Barilliance’s study, the average online cart abandonment rate in 2017 was 78.65%. This means over three-fourths of shoppers left an ecommerce site without completing the purchase. This is basically what cart abandonment is—when shoppers place an item or items to their shopping cart only to leave before completing the transaction. Cart abandonment rate can be calculated by dividing the total number of completed purchases by the number of shopping carts created. You have to then subtract the result from one and then multiply by 100 to get the abandonment percentage. Say, for instance, your ecommerce store has 50 completed transactions and 200 carts created. That means your cart abandonment rate would be 75%. Why Are Customers Abandoning Their Cart? In terms of devices, current stats show that mobiles bring the highest incidence of cart abandonment (85.65%) compared to other devices like tablets (80.74%) or desktops (73.07%). And the numbers, unfortunately, are growing. This suggests that the smaller the size of the screen, the more likely an incomplete purchase happens. Part of the reason mobile suffers high cart abandonment rates is that many ecommerce stores are still not optimized for mobile. Longer load times, users having to zoom in and out for navigation, and friction in the checkout process can definitely hinder the sale. Of course, there are customers who are just plain window-shopping, undecided or checking items out before they have the money to purchase. Whatever reason visitors may have, the cart abandonment rate helps show you the percentage of interested customers who spent time selecting items on your site only to leave it. You can look at this metric to analyze how convenient and trustworthy your site usability is, and more importantly, your checkout process. The cart abandonment rate is an important flag to get to the root of what’s hindering the conversion for shoppers. Here are key areas in your site and in your operations as a whole that can reduce your cart abandonment rate and get your customers to the finish line. Amazon does a great job of informing the user of how many more steps there are in the checkout process. As with many things in life, many of us prefer it if we know how long an activity will take. Whether it’s a meeting, a game, even a workout routine, it’s much more pleasing if we can place a time frame on something. And this is also the case in an online shopping process. By placing a progress bar on your checkout pages, you show the customers exactly where they are and how many more stages it’s going to take. With this feature, you’re eliminating ambiguity in the duration of the transaction and users know what to expect. When designing your progress bar, have as few steps as possible. If you can, limit the process to three steps to make everything look straightforward. Do some A/B testing for this so you know what works for your customers. Aside from poor user experience, abandoned carts may also be linked to security issues. Forbes mentioned research suggesting that about 23% of incomplete purchases happen because shoppers did not trust the security mechanisms in the site. So how do you make your site trustworthy? By showing trust badges. Show security seals from the brand you are using. Norton, McAfee, TRUSTe, and BBB Accredited are just some of the options. Make sure that all your logos (e.g., “MasterCard SecureCode” or “VeriSign Secured”) are recognizable and common for shoppers. Shopify found that more than 75% of customers decided not to make a purchase because of unfamiliar trust logos. 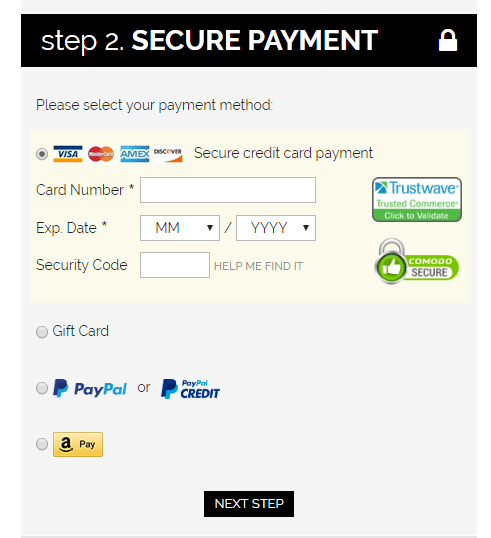 Schott NYC payment process including 2 trust seals. CTAs are usually found in landing and promotion pages, and many businesses no longer place it on the checkout pages. After all, the customer is already set to purchase. Given the data about cart abandonment rates, you’ll likely think twice about this assumption. Checkout pages are actually a prime place for strong calls to action to push the customer to complete the transaction. When making CTAs for the checkout pages, make sure that they embody the same tone or messaging as your other CTAs. For instance, if your marketing materials use a friendly and collegial tone, then use that as well in your CTAs along the progress bar. Have you ever tried purchasing from an online store and upon seeing outstanding shipping costs you’re discouraged to buy afterward? Well, you’re not alone. According to research, most online shoppers hate shipping costs the most. It’s actually the biggest reason for shopping cart abandonment! Given the universal sentiment towards shipping costs, it wouldn’t help your business if you are not forthcoming with this information. Therefore, don’t try to hide it up until the end of the checkout process. Instead, be totally transparent about it and present it early on to inform your customers. After all, there are strategies to make it seem more worthwhile for customers. You can place a minimum amount of purchase to make shipping free, or have several options with varying delivery periods, or even offer free shipping for a limited period. Whatever strategy it is, you can definitely work around this element without encouraging cart abandonment. 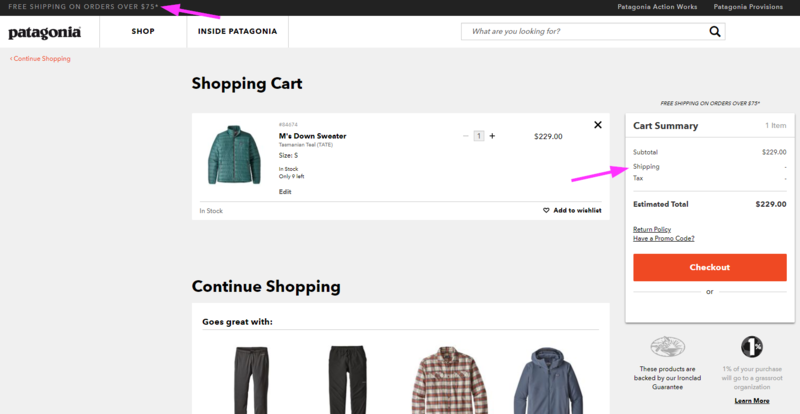 Patagonia checkout page insists on free shipping with two distinct elements: a free shipping message in the header and a Shipping line in the cart summary. 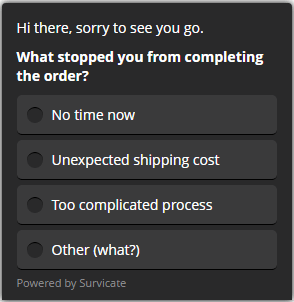 Guest checkout is another useful feature that can help lessen cart abandonment. According to data from Invesp, almost 14% of shoppers opt to leave their cart when they are asked to log in before making any purchase. While it’s understandable that you want your customers to register an account on your ecommerce site, forcing it on every potential shopper does lead to significant abandonment rates. 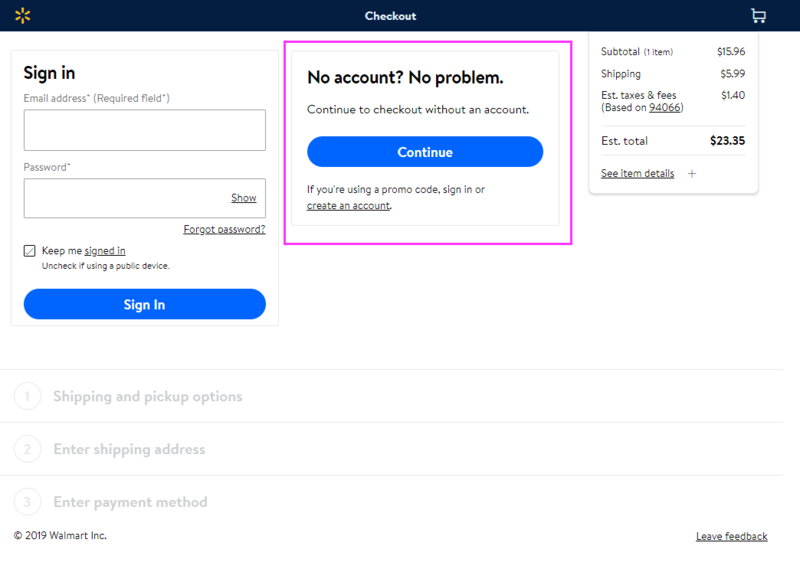 If you want to get people to sign up or create an account, provide this option after they have completed a purchase instead of requiring it beforehand. Sure, this will leave out some valuable data that you are after, but if it makes the conversion process much more successful, then it’s a step in the right direction. Besides, if customers gain a smooth experience on your site the first time they purchase your products, they might be motivated to register next time. As a store owner, it can be difficult to understand what’s preventing your visitors from buying from your shop. But there is a simple option you can use: create an exit survey that you display when your visitors are about to leave your website. Make sure to use only one simple question and only a limited set of answers. Add a “comment” section after your question to let your visitors tell you more. Collect the email address of your respondents if you want to follow up later. It’s important to remember that cart abandonment is, to some degree, inevitable. There’s no foolproof way to completely be rid of it. Once you know your abandonment rate, it’s time to focus your effort on enhancing the shopping experience for your visitors, and also to explore other ways to reconnect with your potential customers. As cart abandonment is inevitable, you can concentrate on maintaining high visibility—on sites that your visitor frequents. Facebook retargeting is a great way to target shopping cart abandoners. Aside from being inherently visual, your ads will be there to remind the visitor what made them attracted to your brand in the first place. Retargeting using AdWords and other optimization tools can also help you reach out to those who did not complete their purchases. This can especially work for products or services that do not have the obvious visual appeal as, say, clothing and lifestyle products. Another key tactic to recover customers who failed to check out is through an email campaign. Based on surveys, more than a third of these emails encourage the visitor to convert after opening the message. Like retargeting, email marketing enables you to remind the customer of what they have abandoned. This could capture individuals who decide that they do want to buy the product after all. And more importantly, this helps customers who didn’t purposely abandon the cart but experienced issues with their Internet provider or whose session timed out. Sending the preserved cart and the corresponding link can ease them back to complete the purchase. 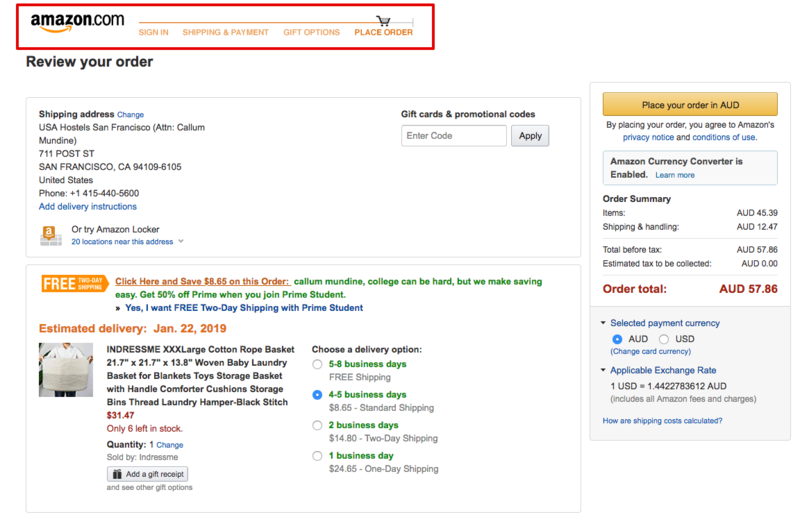 No ecommerce brand is exempt from the dreaded abandoned cart. Small businesses and giant enterprises alike experience this issue in their online stores. Understanding the facts is your first step towards determining how to reduce abandonment rates and recover customers who left without making a purchase. And should you have high abandonment rates, there’s no need to fret about it! It just means there’s room to grow in catering more effectively to your customers.